A sweaty night of sweet loving in short film form. Shall I compare thee to a summer’s day? How about a cucumber? Join Rooftop Films for a night of leather-clad, cucumber-skinned, effluence-soaked intrigue. These ardorous short films offer sticky surprises, unexpected temptations and wild self-discoveries. Bring that special him/her/them/any/all, because an evening of uncomfortable eye-contact awaits. Sarah, a disabled girl aged about twenty, lives with her parents. She is increasingly subject to many fantasies and sees her sexuality taking up more and more of her attention. The arrival in the house of a new cleaner, Victoria, a transsexual woman, will upset the family balance. A gang of gal pals conjure up a frenzy at a Halloween party after a drug-fueled dare exposes the true nature of a mysterious guest. Give it time. You’ll get over it. Jean celebrates his birthday, gets drunk and recalls the dreadful weekend that led to his break-up with Mathilde. A troubling moment in the balminess of a summer in the countryside. While gardening, a young man sees his mother as a women for the first time. Two men accidentally exchange briefcases. One contains a videotape that will lead the new owner to embark on an unexpected journey to figure out what is in it. Blake is having relationship problems. His older brother Sebastian has an unorthodox solution that has been used for generations. 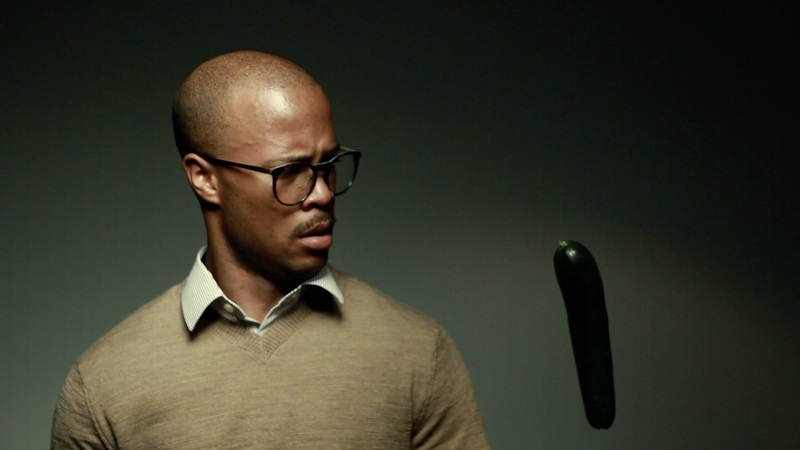 A black philosopher's life falls apart once he starts worshiping a cucumber. She wants to hang out, he does to. But they can't seem to figure how to. A young boy shuffles between the homes of his recently divorced parents. Surreal, dream-like moments mix with the domestic realities of a broken up family in this hand-animated film set in 1980's Toronto. On the heels of a successful first date, Evan and Marceline end up back at her place. A Tinder tragedy.An unexpected child.A journey finding my root of shame. Crockpot Pop. It’s not a term you’ll be instantly familiar with, but it is a somewhat perfect descriptor of Philadelphia quartet Queen of Jeans. Intentionally tongue-in-cheek, the self-ascribed term was coined by the band to chronicle the haphazard nature of their core ingredients. They are a slew of sounds and influences in a juxtaposition that somehow strikes balance, sculpted over time into the refined and tenacious outfit they are today. No refunds. In the event of rain, show will be held indoors at the same location. No outside alcohol permitted.